Cyclinguphill.com is the cycling website of Tejvan Pettinger. Snake Pass, 2013. Photo Courtesy Weaver Valley CC. 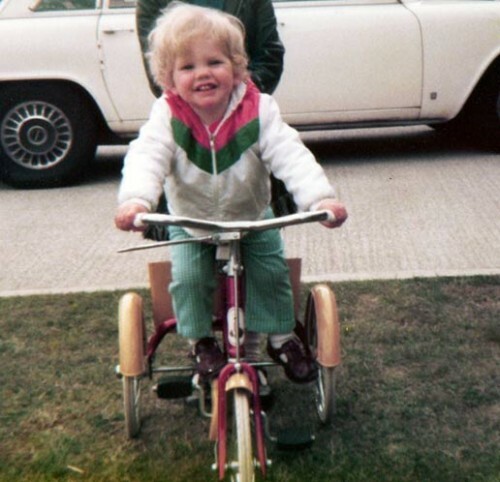 I started cycling aged 14, riding for Otley CC. See blog on the traditional Sunday Club run. 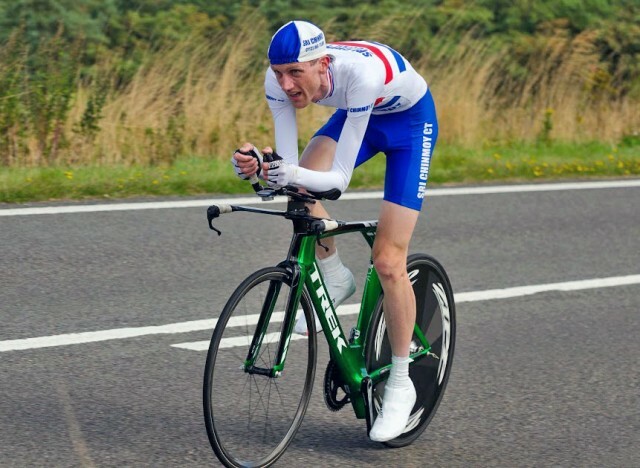 However, apart from the very occasional race, I didn’t start racing until 2004, when I entered my first open time trial. 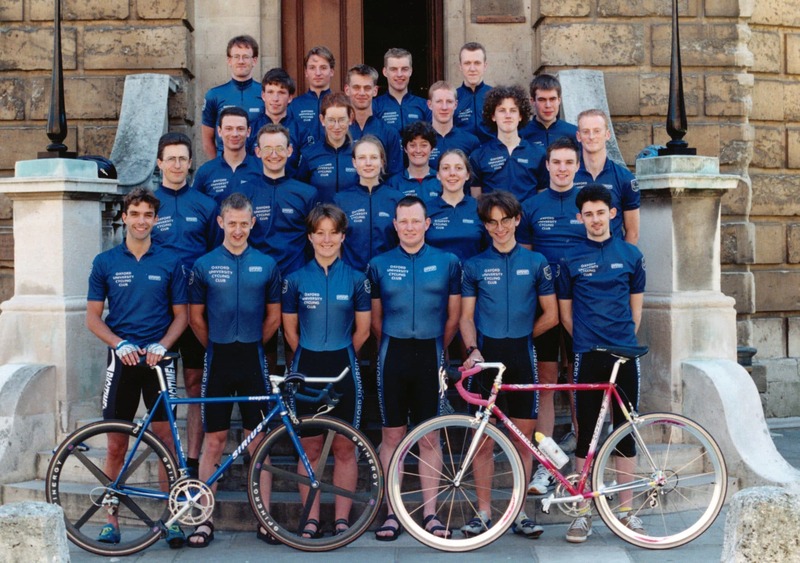 I was a member of Oxford University CC during the late 1990s. Click to enlarge. Spot the two national hill climb champions. My main contribution was to be the club Treasurer and marshalling the Varsity 25, where Michael Hutchinson beat everyone by 5 minutes and gave Cambridge University CC the win. At OUCC, I was contemporary of Jim Henderson who won the national hill climb five times, including one time riding for OUCC. 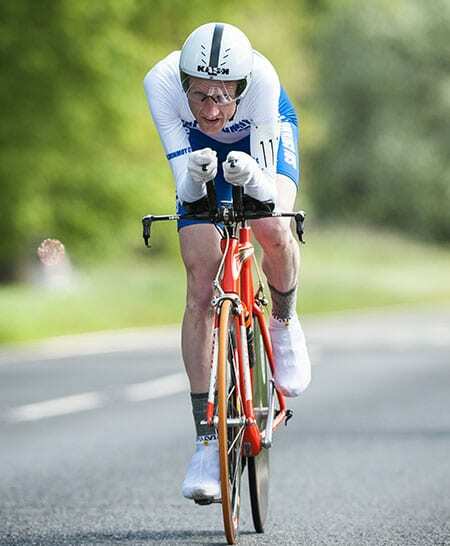 I think I did one or two 10 mile TT in this university period, but I don’t remember how I did. 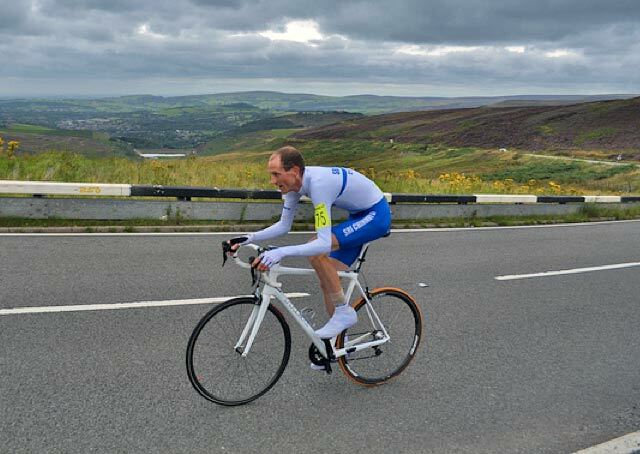 I was inspired by the great Jim Henderson (5 times national hill climb champion). I only remember him shooting off up the road on a hill to Stow on the Wold on a club run. After an illness, and a few years of doing nothing. I dabbled in running. But, a knee injury put paid to that. In 2003, I started to go out on my bike again, and in 2004 started doing a few races. In 2005, I did quite a lot. But, 2006-09 were fairly quite years. Since 2010, I’ve been able to devote more time to cycling. 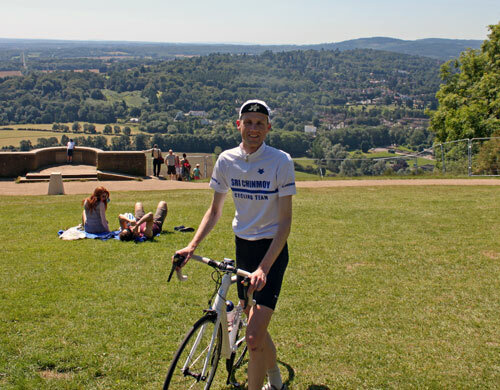 I’m a second claim member of Oxonian CC, and race for Sri Chinmoy Cycling Team. I’m a member of the Oxford Sri Chinmoy Centre, and give meditation classes in Oxford. One book I wrote is available at Amazon. Happiness will follow you by Tejvan Pettinger. I also wrote a short book about my experiences as a student of Sri Chinmoy.